Disaster Strikes. Do you have a plan? I met up with friend Rebecca Gimenez a day after the lethal tornado plowed through Moore, Oklahoma. 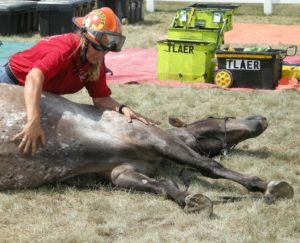 Dr. Gimenez, president of Technical Large Animal Emergency Rescue, has seen her share of disasters and has trained thousands how to save horses and other animals from peril. She was giving an awareness course for Iowa agriculture folks at Kirkwood Community College in Cedar Rapids. She had strong words for those of us anxious to help: Stay out of the way. That is, unless you belong to an organized team and are called to deploy, please stay away. Join a team so you’ll get called next time. Years ago, Gimenez convinced me of the need to be personally prepared and professionally engaged when it comes to animal rescue. After taking her course, several of us went on to found and/or join County Animal Response Teams and train as First Responders. In today’s world, that makes us much more useful and valuable than Good Samaritans. As we’ve seen, disasters can strike quickly and randomly. Do you have a plan if you lose water, electricity, or have to evacuate in an hour? Can you trailer load your horses and grab your Go Bag in minutes? 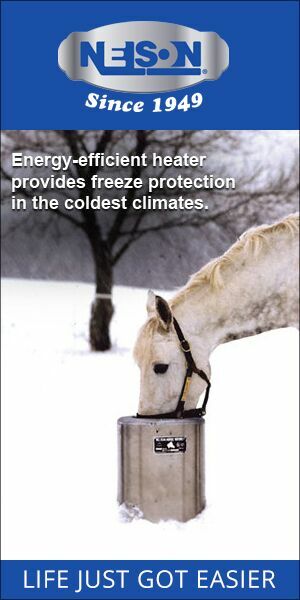 Posted in BestHorsePractices, Equine Safety, General and tagged TLAER.